The designers of modern RVs spend considerable time and money on exterior design. 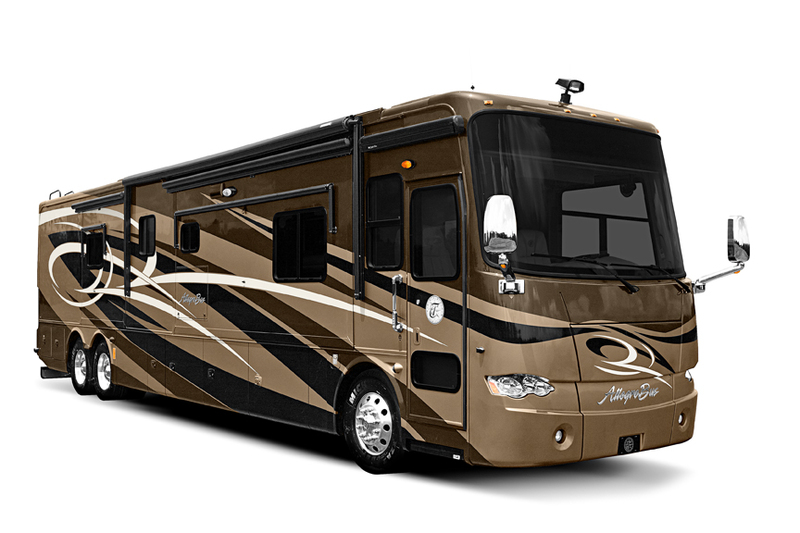 However, those glossy, picture perfect RV paint jobs can be destroyed if you are not careful. 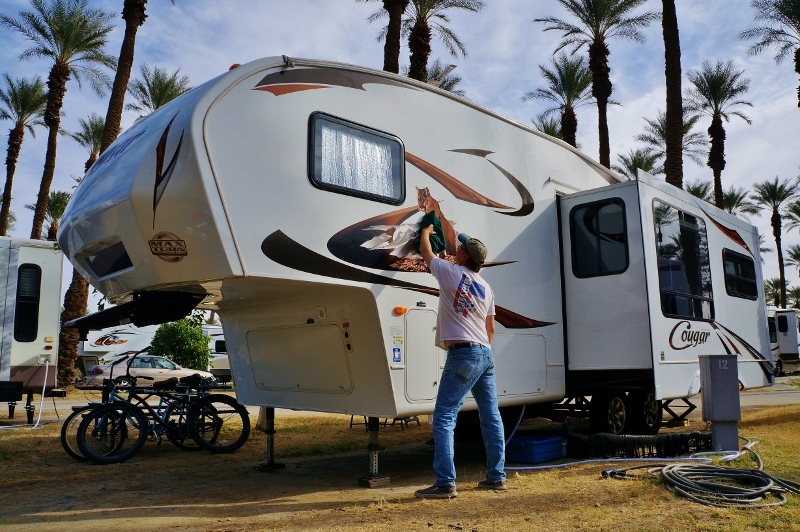 Here are some cautions for you to consider when parking, storing, cleaning and detailing your RV’s exterior to keep that brilliant new look. 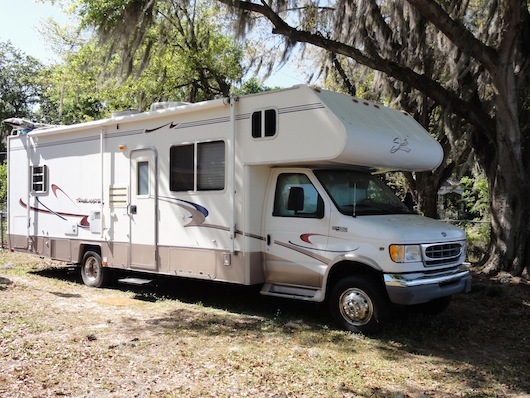 Harsh sunlight will not only fade the colors of your RV’s paint job, but it will dull the paint’s gloss. There are several ways to keep the sun’s harmful rays from damaging the painted surfaces of your RV. 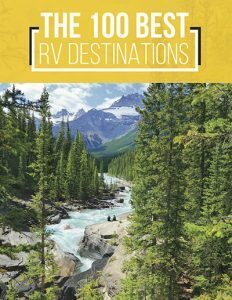 The most obvious is to have a garage big enough to house the RV when it is not being driven. Another option is an open-ended sun shade which acts like a giant parasol and blocks the direct rays of the sun. You can also purchase cloth covers, but keep in mind that these are hard to put on and frequently blow off unless they are firmly attached. Trees might seem like the perfect place to park. They offer shade and some shelter. However, trees drop their leaves and sap that may stick like glue to your RV’s shiny surface leaving permanent imprints. While the sun will fade paint, it does have an upside. Sun and wind evaporate the rain water that collects on the roof of your RV. If left there this water can become stagnant causing black mold and mildew to damage the surface of your RV’s roof. 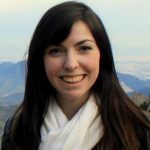 Moreover mold and mildew can be health issues for people who ride and live in your RV. There are lot of soaps and detergents out there on the market for removing road grime, dust, dirt, insects, road debris and tar from vehicles. Many of these can be harsh on your RV’s paint and chrome surfaces. They can dull paint and permanently abrade those shiny surfaces. Be sure to always use a product approved for RV use only. Power buffers might make short work of buffing the surface of your RV, however, like harsh chemicals, power buffers can leave behind permanent damage. They can also dull the paint. Stick to hand buffing your RV. It takes longer, but you will be so much more pleased with the final results…and just think of the free workout you’ll be getting! 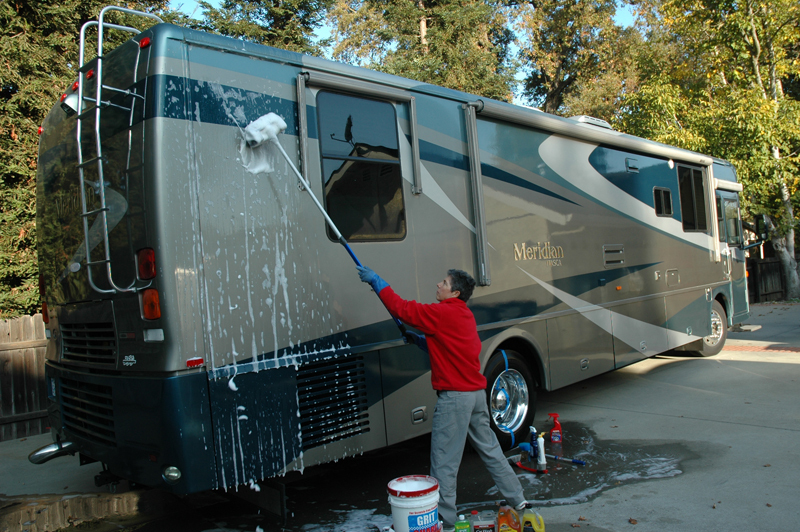 You paid a lot of money for your RV and you want it to look its best, so keep it clean and shiny with regular washing with a gentle soap and hand buffing. When you see how great a well cared for RV looks, you’ll know it was worth the time and trouble. Always wash bugs, tar, and other abrasives off the painted surfaces and windows after each trip as they will stain the surfaces.